Looks interesting. Can't wait to see what else you cook up! I've been having a really good couple of months! I've won some awards for my art, one of which was pretty big! This has been both a big confidence booster and extremely humbling at the same time. 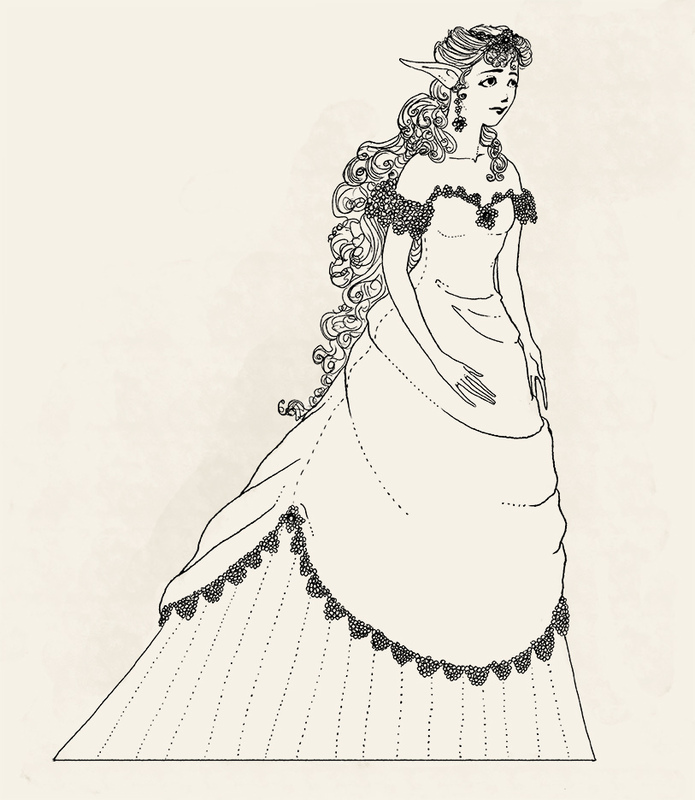 Anyway, this is a little doodle I did of Princess Zelda loosely based on concept art for BotW I vaguely remember seeing a while ago where her hair was bigger and she had a lot of flowery details on her dress. I love the level of detail in Zelda's hair and dress. However, it's weird how the bottom of her outfit forms a straight line with the ground - a real maxi dress would probably ruffle and bunch up there. Also, congratulations on your awards! Keep doing great things.